Fancy Girl is a young adult novel written in free verse, complete at 17,132 words. This book is about a 19-year-old single mother who is struggling to raise her daughter inside of the Mystic Housing Projects in Somerville, Massachusetts. Fancy Girl is a modern day version of The Outsiders, and possesses a gritty authenticity that is missing is most Young Adult fiction. Deanna Keight is trying to find some sense of stability and hope for herself and her daughter in an unforgiving environment. This is a story of a young woman who tries to lift herself out of poverty by selling her body. Along the way Deanna confronts violence and abuse, the drug addiction of a friend who brought her into the life, an attack and kidnapping by the father of her daughter, and the death of the one man who seemed to really care. By the end of the narrative Deanna discovers that fast money is not going to make her life better, and that poverty is not something she must remain in, just because previous generations of her family have. This is a story not just about courage, love, and redemption, but of the maturing of self under the worst circumstances possible, and the understanding that one can recover from bad choices; and lifestyles, and move onto something better. It is a story every teenager who has ever been in trouble will want to read as the writing is charged and hip and compelling. I’m twenty-seven, and live in Somerville, Massachusetts. I have an M.F.A. 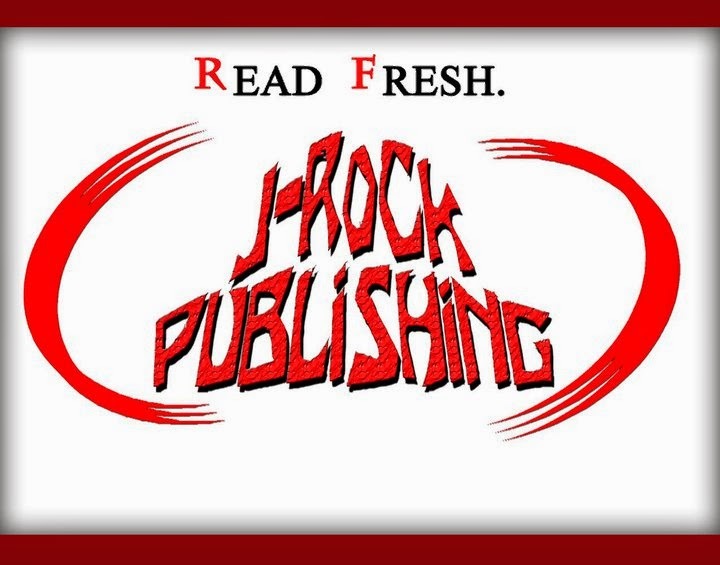 from Pine Manor College in Writing for Children and Young Adults, and am the founder of a small press called J-Rock Publishing that publishes poetry books for young adult writers. Thank you for your consideration. I hope to hear from you soon. Fancy Girl by Jasen Sousa is a lyrical novel in free verse, which tells the coming of age story of Deanna Keight, a teenage single mom who is struggling to raise her daughter Madelyn in the Mystic Housing Developments in Somerville, Massachusetts. Deanna is a brash, but capable teen who is stuck at a point in her life where she doesn’t know how to escape the world she has found herself living inside of. Deanna is a female Ponyboy, and Fancy Girl is a modern day version of The Outsiders, and is written in the same successful style as Jacqueline Woodson’s Locomotion, and Patricia McCormick’s Sold. One day, Deanna is approached in the park by Alissa, a new breed of independent prostitute who offers to teach Deanna the tricks of the trade so she can save up enough money to move out of the projects. Without many options available, Deanna accepts Alissa’s offer. Deanna is even more desperate to disappear from Somerville as she has recently found out that the father of her child, Machinegun Mike, who is doing time in jail, will be getting out earlier then expected. Machinegun Mike becomes enraged with jealously after learning that Deanna has been selling herself, and plans to come home and reunite with Deanna and Maddy so that they can be a family. At night, Deanna leaves Maddy in the care of her elementary school crush, Johnny J, the only guy in her life that she trusts. Johnny J goes along with this plan at first as he sees it as a logical way for Deanna to save money, but over time, his feelings for Deanna grow, and he becomes disgusted with the idea of sitting at home while strangers feel up every inch of her body. Johnny J confronts Deanna’s way of life, Machinegun Mike, and will let nothing get in his way of freeing Deanna and Maddy. Fancy Girl is the story of a young teenage mother living in an unforgiving environment, and her journey to do whatever she has to in order to secure a new, and better life for herself, and her daughter. Deanna realizes that fast money is not the way of creating a better life for her family. Deanna is a courageous young girl who has to teach herself about the harsh realities of her projects. Deanna realizes this doesn’t have to be her life. That she doesn’t have to sell her body for money, and that just because generations of her family lived in poverty, doesn’t mean that she does. She realizes she can leave, even if it means leaving with less than what she originally had. This book is important for all teens in general, but especially for young people in the inner city who will be able to look up to a young single mother as a new hero of young adult literature. According to a longitudinal study of nearly four thousand students, one in six children who do not read proficiently by third grade — and one in four who are both poor and struggling readers — fail to graduate from high school. Funded by the Annie E. Casey Foundation, the report, Double Jeopardy: How Third-Grade Reading Skills and Poverty Influence High School Graduation (15 pages, PDF), found that 16 percent of third-grade students who did not read at grade level either dropped out or failed to finish high school on time, compared with 4 percent of proficient readers. The report also found that of those who had lived in poverty for at least a year, 22 percent did not graduate, compared with 6 percent of those who had never been poor, while among third-grade students who were both poor and struggled as readers, the rate rose to 26 percent — and was highest among African-American and Latino/Hispanic students, at 31 percent and 33 percent, respectively. Indeed, the risk of failing to graduate was nearly twice as high for African-American and Latino/Hispanic children as for white children with similar reading skills and experiences of poverty. Children from poor families are caught in a double jeopardy, the report argues, in that they are more likely to live in areas with low-performing schools, lack access to quality health care, and/or frequently miss school, all of which contribute to lower reading scores. Moreover, even when they are proficient readers, they are less likely than their more affluent peers to graduate from high school. The report recommends aligning high-quality early education programs with primary-grade curricula and standards, focusing more attention on children's health and developmental needs, and providing job training and other programs designed to help lift families out of poverty. "We will never close the achievement gap, we will never solve our dropout crisis, we will never break the cycle of poverty that afflicts so many children if we don't make sure that all our students learn to read," said Ralph Smith, executive vice president of the Annie E. Casey Foundation. "This research confirms the compelling need to address the underlying issues that keep children from reading." “National Study Shows Students Who Don't Read Well in Third Grade Are More Likely to Drop Out or Fail to Finish High School.” Annie E. Casey Foundation Press Release 4/08/11. There are some opportunities beginning this coming Monday for young adults aged 17-24 to apply to get full time good paying jobs with the Carpenters Union and the Laborers Union. These jobs require a high school degree or GED and passing a drug test. People older than 24 can apply too. People with CORI's can get these jobs. You are applying to be accepted as an apprentice which is a full time paid job if you get it. High School seniors can apply for the Carpenters Union apprenticeships with a letter from their school stating they are eligible to graduate in the next 3 months. Apply April 12 between 7:00 AM-2:00 PM at 12 a Everdean Street in Dorchester . For all other parts of the state, follow this procedure of applying at one of these 10 locals around the state, see list of addresses in the attachment, by April 7 at 3:00 and then attending mandatory informational session on Wednesday April 20 at 6:00 PM at the New England Carpenters Training Center 13 Holman Street, Millsbury, MA. Interviews then held on April 29 but can only get an inteview if first apply by April 7 and attend the April 20 informational meeting. Do you believe in the power of transformative relationships for girls? Are you ready to impact the Greater Boston community one girl at a time? If you answered yes, and the idea of being part of a collaborative, performance-driven, focused team excites you then join us! At Big Sister Association of Greater Boston we have been helping girls reach their full potential through positive mentoring relationships with women since 1951. We are the largest mentoring organization in Greater Boston exclusively serving girls. Over 80% of the girls we serve are girls of color and recruitment of women of color is an agency priority. Big Sister Association is seeking a dynamic individual to join our Recruitment & Community Partnerships team as the Recruitment Coordinator. Responsibilities include, but are not limited to identifying prospective partnerships to recruit women as mentors, staffing Big Sister information tables and sessions, and assisting in the development of social media recruitment campaigns. social media recruitment campaigns: blogs, Twitter, Facebook, etc. ? Maintain current Big Sister postings on volunteering web sites and researching new web sites on which to post. in non-profit, social work, education, or marketing/communications ? initiative, proactive, and optimistic ? Clear vision to carry out projects ? Car or access to a car required. Big Sister is committed to hiring staff who reflect the diversity of the communities we serve. Candidates of color, bilingual and bicultural candidates are strongly encouraged to apply. If you are interested in working at a well-established, fast-paced and supportive organization committed to serving girls, please apply. The long road from addiction is not an easy one. 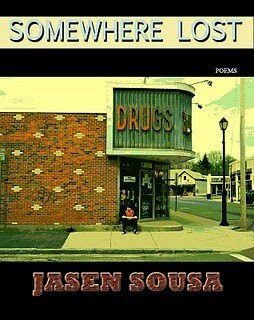 "Somewhere Lost" is a collection of poetry from Jasen Sousa, as he reflects on addiction, something many of the people around him faced as he entered adulthood. Heartfelt and profound, "Somewhere Lost" will resonate well with many readers. "Beauty is Sold": With at least ten years of abuse under/her belt, I don't know if her mind will ever/be hers again. She fights to regain all/that she ran away from, she wants to be/that little girl she never came to/ appreciate. I knew that little girl,/ and I do not recognize this woman/whose beauty is now sold in a dope sack,/squeezed into a syringe, and shot into/abandoned veins tagged with drug dealer's names.